According to an order released by the Department of Education (DepEd) regarding ALS passers who are eligible to enroll directly to College, those who passed the A&E Tests HS Level from 2018 and previous years, and those who will pass the said exam in 2019 are eligible to enroll directly to College in any public or private tertiary institution. 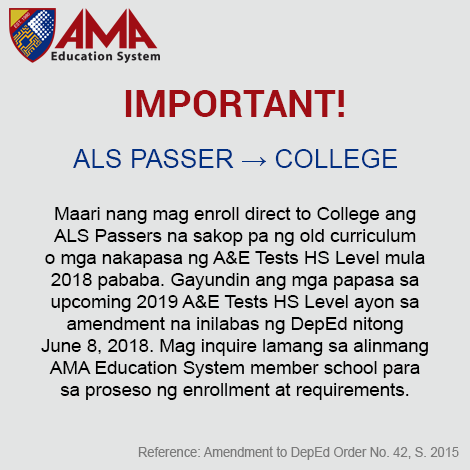 This answers the question whether ALS passers are covered by K to 12 and must go through Senior High School. However, DepEd considers the fact that some ALS passers may still wish to go through Senior High, and so the order also states that they are free to do so if they personally and willingfully wish to. 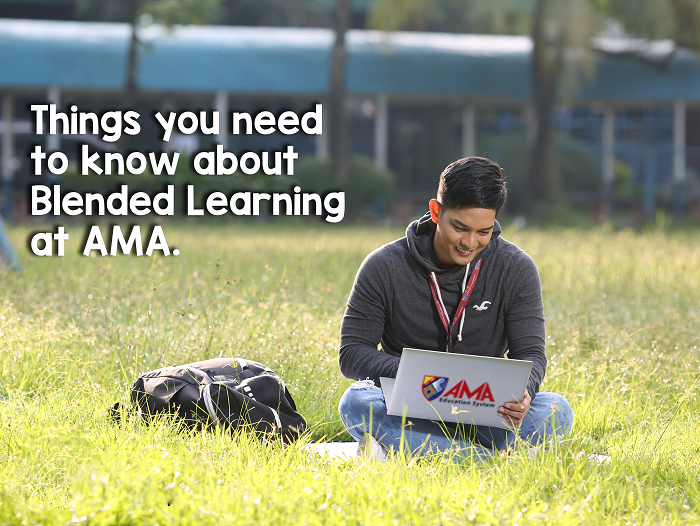 Briefly, this means that those who passed the A&E Tests HS Level from 2018 and previous years, and those who will pass the said exam in 2019 may enroll to college in any public or private colleges like AMA University and Colleges, ACLC College, ABE International Business College and St. Augustine School of Nursing to pursue tertiary education or even vocational short courses.